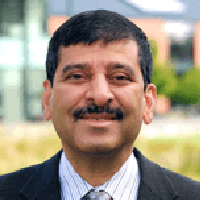 Uchila N. Umesh is a professor of marketing and international business. His primary research and teaching focus is in the areas of marketing, entrepreneurship, and quantitative modeling. He has published several articles in premier academic journals and has presented papers at a number of national and international conferences sponsored by the American Marketing Association, Association for Consumer Research, Institute for Operations Research and the Management Sciences, and the Academy of Marketing Science. In 2008, a paper on entrepreneurship he coauthored was a finalist for the Best Paper of the Year Award at Decision Sciences. He has also taught a wide variety of courses and is the recipient of 5 awards for superior teaching, including being voted Outstanding Professor of the Year on 3 separate occasions by marketing students.